Located in Albany, New York, the law firm of O'Connor First provides exceptional advocacy and support to a diverse range of clients involved in complex insurance disputes and litigation. With an additional office in Bennington, Vermont, we represent insurance companies, health care providers and physicians, self-insured business owners and others across both states, and our law firm has earned widespread recognition as one of the nation's best for insurance and medical malpractice defense. Our team of top rated attorneys is fully committed to helping you resolve your conflicts as efficiently as possible, and we have extensive experience in mediation and arbitration so we can help you obtain the favorable outcomes you seek without the need for expensive, protracted courtroom battles. Should your case need to go to court, however, we will fight hard to protect your rights and interests, and we have achieved unprecedented success advocating on behalf of our clients in state and federal courts throughout the region. In addition to insurance defense, we also provide unmatched criminal defense counsel for business owners and individuals. We also offer effective bankruptcy services to help you find relief from your overwhelming debt so you can get back on the path to financial security. We also maintain a successful appellate practice, so we can help you challenge a previous ruling regarding your case to help you achieve the justice you deserve. No matter how serious or complex your circumstances, our attorneys will work directly with you so that we can better understand your situation. We will offer solid, straightforward advice that you need to make the best-informed decisions on the matters that affect your case. 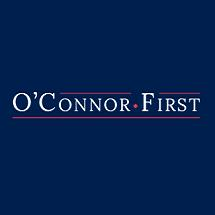 For more information on how O'Connor First can best serve your needs, you can contact our law office or visit our website to schedule a consultation. Administrators for the Professions of Delaware, Inc.